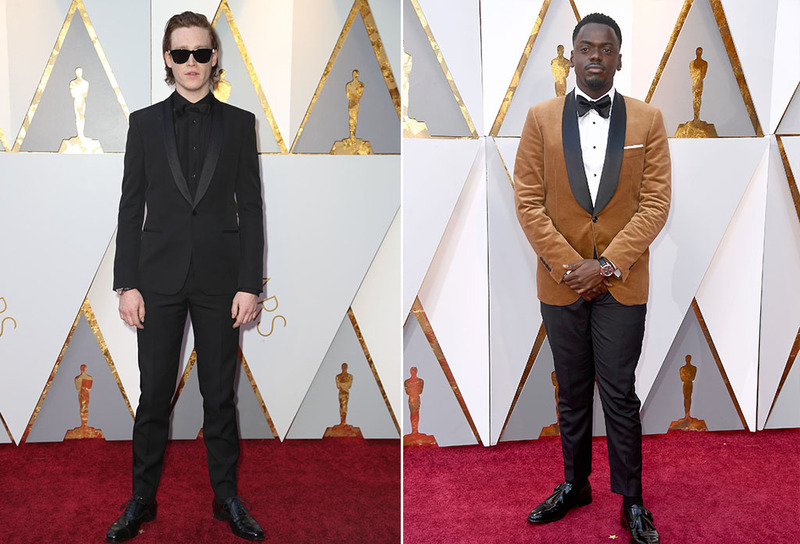 With colors back on the red carpet, this year's Academy Awards is has inspired us more than ever. The variety on models and details shown on the beautiful dresses and suits will definitely bring to mind fresh ideas to apply for your wedding attires. Not planning to get married anytime soon? There's always time to stop and smell the roses; simply immerse yourself in the elegance these looks have to offer. Scroll right down to see it! In lieu of the classic black-and-white tuxedo, going all-black for the wedding day is also not a bad idea. If you like a splash of color on your suit, try something different like this brown-colored tux, that's perfect for an autumn wedding. Take your glamorous look into the next level with these glimmering metallic dresses. For a futuristic twist, add an eye-catching detail like the sash-like sleeve on Lupita Nyong'O's dress. Jennifer Lawrence's look is more classic and refined, perfect for an intimate wedding or an after-party event. For indoor, large-scale weddings, A-line dresses are still a favorite choice among brides. Take cues from these two dresses to add a little something extra and make your wedding dress unforgettable. Either an embroidered train or a fully-embellished bodice, the choice is yours! Another alternative for large-scale weddings, having an outer skirt will add the wow-effect to any dress. There's nothing like a big bow to jazz-up a minimalist dress. Saoirse Ronan's pink dress features a large bow that doubles as a train behind the dress. 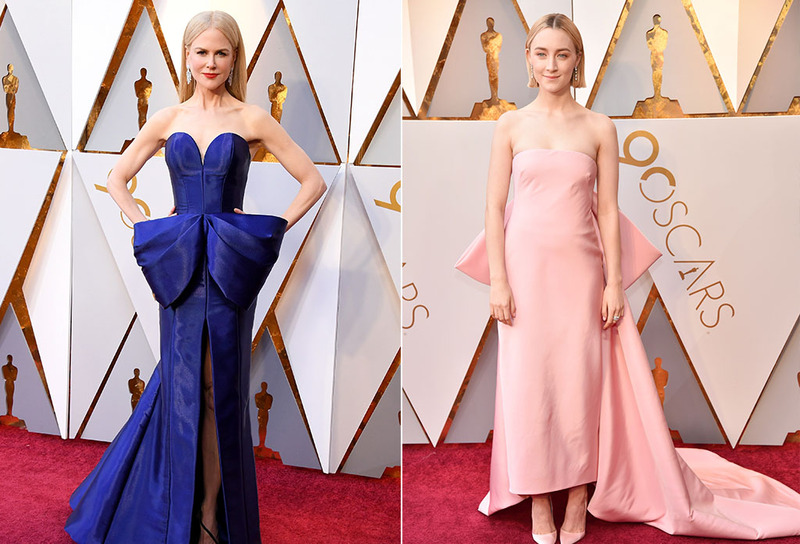 While Nicole Kidman modifies her bow to create a peplum-like silhouette on the front of her blue dress. Zendaya's asymmetrical sleeve dress is just bohemian through and through. The color, the effortless fabric drape, and the simplicity of it all is just gorgeous. Meanwhile, Zoey Deutch's dress features a ruffled skirt that features mini pom-poms in its edges. Cute and elegant, this dress definitely belongs in our list. A white wedding dress will always be a right choice. Margot Robbie's off-shoulder detail is simply divine, somehow bringing to mind a festive tropical wedding with lots of colors. For a goddess-effect, add a cape to your wedding dress like Janet Mock did on her mermaid-style dress. What do you think about our picks for this year? Tell us which look you're going for in the comments section below!